It can improve balance, lower the risk of falls, and provide a sense of well-being, but the evidence supporting other tai chi benefits is limited thus far. Tai chi benefits range from blood pressure reduction to increased flexibility. Tai chi, which began as a noncompetitive martial art, was once considered in much of the U.S. to be a fringe form of exercise for older adults only. Today, it has moved closer to mainstream medicine practiced by people of all ages. In fact, tai chi benefits are being recognized by major medical institutions, including Stanford, UCLA, M. D. Anderson, and the Hospital for Special Surgery. Tai chi combines relaxation, meditation, and deep breathing with slow, gentle, continuous, and structured exercises called forms. 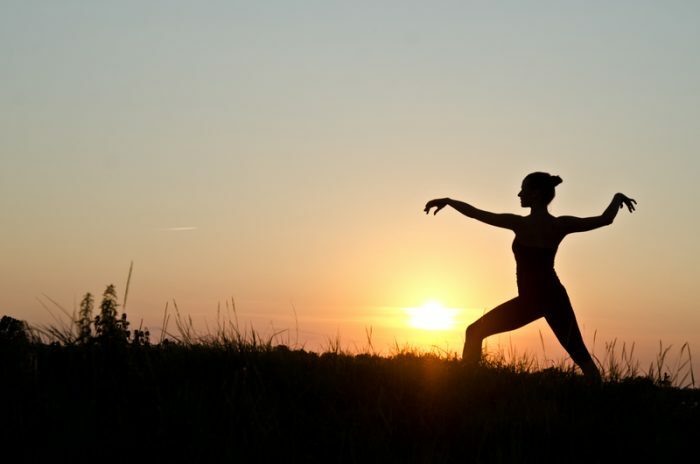 “Standing, graceful postures,” “achieving harmony between body and mind,” and “meditation in motion” are some of the phrases used to describe tai chi movements. Because of its health benefits, some even describe tai chi as “medication in motion.” The number of movements in tai chi varies from 18 to more than 100, but a beginner can start learning with a five-minute session once a week and work up to the target goal. Tai chi is especially effective in older adults because it can be practiced at different intensity levels. Tai chi classes are widely available at wellness centers, hospitals, and colleges, and you can perform tai chi movements alone or in a group. What Does the Evidence Say About Tai Chi Benefits? One of the most important studies supporting tai chi was conducted at Stanford and published in Alternative Therapies in Health and Medicine. A group of women with average age 66 and who had below-average fitness and at least one cardiovascular risk factor took 36 tai chi classes over the course of 12 weeks. A variety of test results showed significantly increased strength and flexibility in both the upper and lower body. How Does Tai Chi Help Our Health? Below are brief summaries of tai chi benefits as related to specific conditions. Chronic pain: Indirectly, exercise of any kind seems to reduce pain, so tai chi qualifies in that respect. Some evidence shows that tai chi reduces the amount of stress hormones the body produces, and anecdotal evidence suggests that it reduces stress. A 2016 review of studies in Scientific Reports found that tai chi should be considered as a viable complementary medicine for chronic pain conditions. Knee pain: Tai chi was found to be as helpful as physical therapy in reducing pain and improving physical functioning among knee osteoarthritis, according to a 2016 published in Annals of Internal Medicine. Shingles: UCLA researchers found that a Westernized form of tai chi may boost immunity against shingles. Practicing tai chi for 30 minutes, three times per week, triggered a 50 percent rise in antibodies that destroy the shingles virus. Fibromyalgia: Patients in one study practiced tai chi two hours a week for 24 weeks and scored significantly better than a control group on overall impact of the condition. A 2018 study in The BMJ found tai chi to be as good or better than aerobic exercise for people with chronic pain associated with fibromyalgia. Risk of falls: A 2017 study published in BMJ Open found that tai chi was associated with up to a 31 percent drop in the number of falls, and up to 64 percent less risk when frequency of tai chi sessions increased from once a week to three times a week. On the other hand, the NCCIH does not mention increased strength among tai chi benefits, even though a few small studies support that claim. Nor does research support tai chi for improving aerobic fitness in most people. The NCCIH says that, in general, studies of tai chi have been small or they have had designs that may limit their conclusions. The cumulative evidence suggests that additional research is needed before tai chi can be widely recommended as an effective therapy. In the meantime, tai chi’s benefits appear to outweigh its shortcomings and make it an attractive, healthy exercise option for an increasing number of middle-aged and older adults. Overall, it appears to be a safe, body-friendly activity. aerobic exercise, aerobic fitness, back pain, blood pressure, cardiovascular, cardiovascular risk, chest pain, chronic pain, chronic pain conditions, dizziness, exercise, fibromyalgia, fitness, health, healthy exercise, immunity, improve balance, integrative, integrative health, knee osteoarthritis, knee pain, meditation, osteoarthritis, osteoporosis, pain, parkinson s disease, Shingles, shortness of breath, strength, stress, stress hormones, virus.